In medium microwavable bowl, cover and microwave cauliflower and water on High about 6 minutes, stirring once after 3 minutes, until tender; drain. Meanwhile, in 7-inch skillet, heat oil over medium heat. Stir in bread crumbs and basil. Cook 1 to 2 minutes, stirring frequently, until bread crumbs are toasted. Stir in parsley. 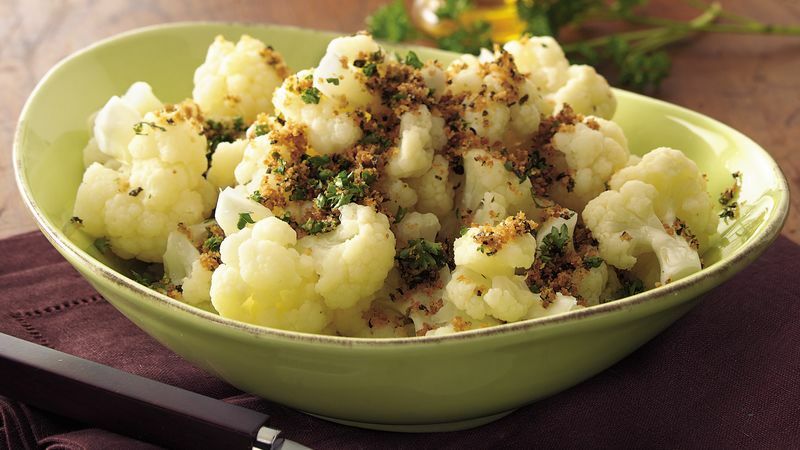 Sprinkle over cauliflower. You can also use Parmesan bread crumbs instead of Italian-style.